Bauhinia Purpurea L. (leaf and pod) Extract, Bacopa (leaf)(Bacopa Monnieri) Extract, Walnut Bark Extract, Cirsium Oligophyllum (whole plant) Extract, Rauwolscine Extract (leaf and root). (fruit rind) Standardized to 60%, Hydroxy Citric Acid. Sodium starch glycolate, gelatin, vegetable stearate, silicon dioxide, dicalcium phosphate, red no. 3, blue no. 1, titanium dioxide. Take 1-2 capsules in the morning and 1 capsule after lunch. Do not exceed 4 capsules daily. Not for use by individuals under the age of 18 years. Do not use if you are pregnant or nursing. This product can raise blood pressure and interfere with other drugs you may be taking. Talk to your doctor about this product. Individuals who consume caffeine with this product may experience serious adverse health effects. Individuals who are sensitive to the effects of caffeine should consult a licensed health care professional before consuming this product. Do not consume synephrine or caffeine from other sources, including but not limited to, coffee, tea, soda, or other dietary products or medications containing caffeine or phenylephrine. Do not use for more than 8 weeks. Consult with your physician prior to use if you are taking medication, including but not limited to, MAOI Inhibitors, aspirin, anti-depressants, non-steroidal anti-inflammatory drugs or products containing phenylephrine, ephedrine, pseudoephedrine, or other stimulants. Consult your physician prior to use if you have a medical condition, including but not limited to, heart, liver, kidney or thyroid disease, psychiatric or epileptic disorders, difficulty urinating, diabetes, high blood pressure, cardiac arrhythmia, recurrent headaches, enlarged prostate or glaucoma. Discontinue 2 weeks prior to surgery or if you experience rapid heartbeat, dizziness, severe headache or shortness of breath. In case of accidental overdose, seek professional assistance or contact a poison control center immediately. Avoid alcohol while taking this product. Exceeding recommended serving may cause serious adverse health effects, including heart attack and stroke. Improper use of this product may be hazardous to a persons health. 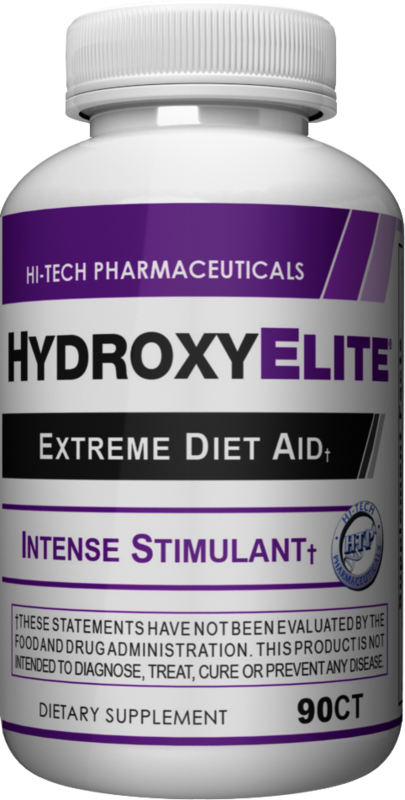 Sep 09, 2015 HydroxyElite – OxyELITE Pro Clone *with* DMHA!!! Sep 22, 2014 DMAA Supplement List – What’s Still Available? Yes, this product contains DMAA! For the full scoop, read our HydroxyElite blog post! If you were around in the mid 90's - 2000's then you would know people walked into local supplement shops and asked what they should take to get shredded. Despite what seemed like hundreds of products, the store owner would say the 'ECA' stack as if there wasn't even a choice. For the past 5 years that has been an equally effective duo with the DMAA/caffeine stack. Most companies let the FDA intimidate them into stopping the sales of this extremely potent combination....Well not Hi-Tech! OxyElite Pro was one of these popular products that was backed by multiple clinical studies on its safety and efficacy. Researchers at Hi-Tech familiar with its effectiveness decided to "reverse-engineer" this product. Hi-Tech even took it one step further and combined the powerful effects of Garcinia Cambogia extract (standardized to Hydroxy Citric Acid) to this already powerful combination. The HydroxyElite lineup... 1,3 Dimethylamylamine (DMAA), Caffeine, Rauwolfia Canescens (A.K.A. Rauwolscine), Bauhinia Purpurea Extract, Bacopa Monnieri Extract, Cirsium Oligophyllum Extract, and Garcinia Cambogia Extract. 1,3 Dimethylamylamine - The most potent thermogenic compound in the recent decade to be released to the public. This compound took the place of ephedrine in the epehdrine/ caffeine stacks of yesteryear. 1,3 DMAA is a sympathomimetic, aliphatic amine with indirect (i.e., by increasing norepinephrine levels) and/or direct activity at alpha and beta-adrenoceptors. This compound is also a very powerful central nervous stimulant. Caffeine- This CNS stimulant noted for its ability to increase feelings of energy, alertness, concentration and thermogenic effects. Since the discontinuation of DMAA by other companies has led to them spending millions and millions of dollars advertising the next best thing..... but why would you want that if you could have a New & Improved version of what you know works? You Wouldn't....enter HydroxyElite by Hi-Tech to give retailers and consumers exactly what they want. These statements have not been evaluated by the Food and Drug Administration. This product is not intended to treat, cure, diagnose, or prevent any disease. This product should not be used in place of or as a substitute for recommendations by your healthcare professional. 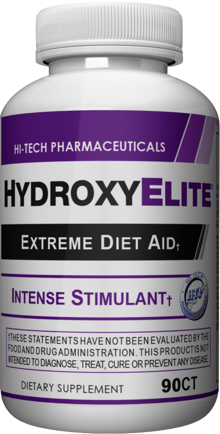 No clinical study has been performed on HydroxyElite. These statements are based upon the active ingredients: [Bauhinia Purpurea L. (Leaf And Pod) Extract, Bacopa (Leaf) (Bacopa Monnieri) Extract, 1,3 Dimethylamylamine HCl, Cirsium Oligophyllum (Whole Plant) Extract, Rauwolscine Extract (Leaf And Root), Garcinia Cambogia Extract, Hydroxy Citric Acid.